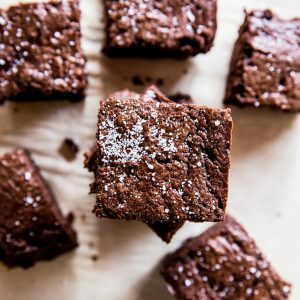 Dreamy decadent fudgy keto brownies made with almond flour and zero-calorie sweetener for a low-carb sultry dessert. This easy recipe comes with a vegan option and is perfect for those who watch their sugar intake or follow a keto diet. Oh hey, chocolate lovers, do I have a treat for you?! If you’re a seasoned veteran of The Roasted Root, you know I have a mega weakness for brownies, but am also careful with my sugar intake. 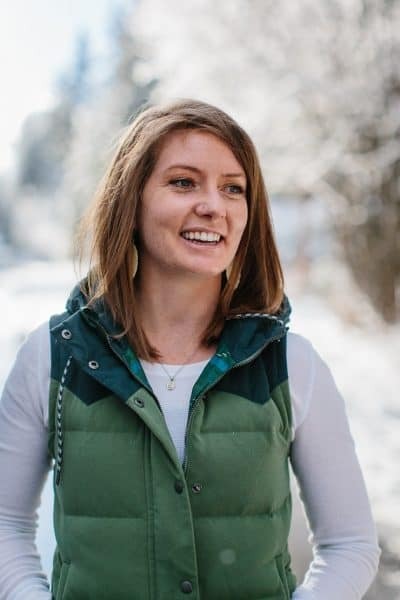 For this reason, I have been known to develop sugar-free (keto-friendly) recipes that are designed to not raise blood sugar. Just take a looksy at my Low-Carb Peanut Butter Fudge, Keto Edible Cookie Dough, or Keto Coffee Ice Cream for example. 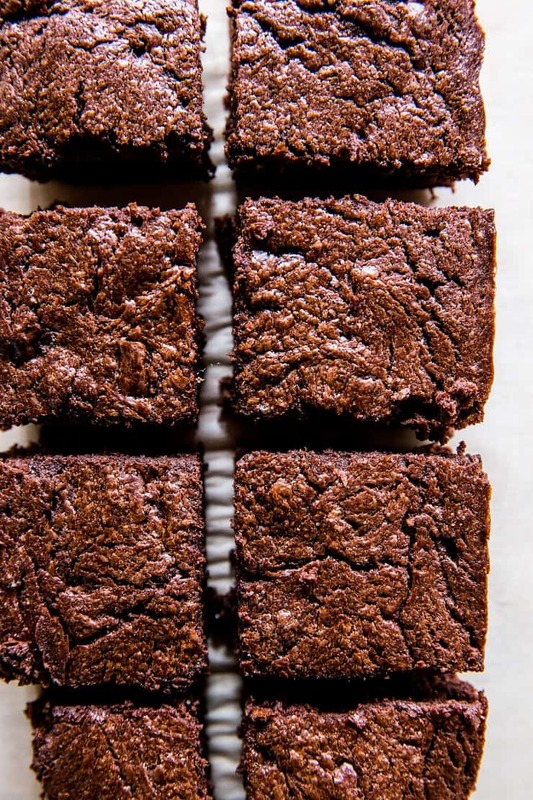 WELL, I finally made it my mission to make a low-carb brownie recipe that is melt-in-your-mouth delicious and also friendly to my blood sugar. I have included all sorts of adaptations to fit your dietary restrictions – have a look in my Recipe Adaptations section below for a vegan option and more! 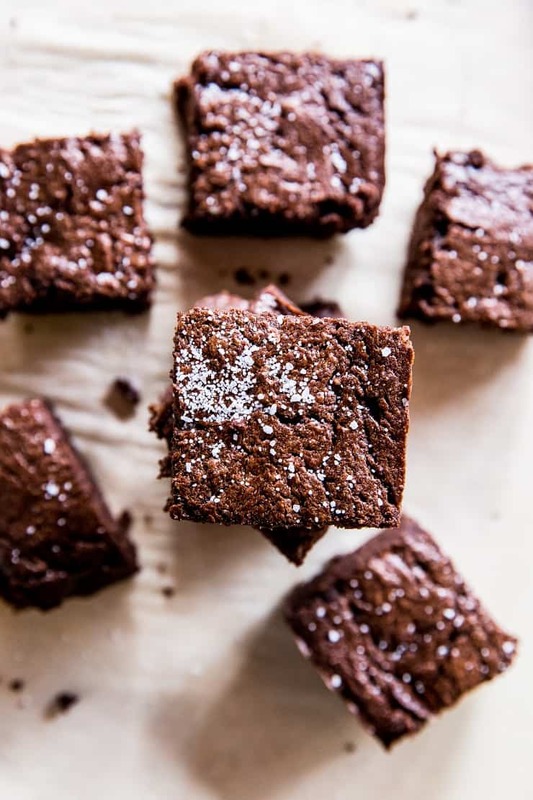 Using 9 basic ingredients, we’re whipping out the fudgiest and best keto brownies in all the land. When it comes to sugar-free treats, the biggest question is always what type of sweetener to use. I use Monk Fruit In The Raw®. Let’s chat about it! Monk Fruit In The Raw is a is a zero-calorie sweetener, perfect for replacing cane sugar in any of your sweet treats. Monk fruit is native to China and has been used in Chinese medicine for many decades. The sweetener is derived from monk fruit extract, making it a plant-based sugar replacement. Monk Fruit In The Raw can easily be incorporated into the diet of people with diabetes. Monk Fruit In The Raw contains less than one gram of carbohydrates. If you’ve noticed gas or bloating from zero sugar sweeteners in the past, not to worry, there are no sugar alcohols added. And this is coming from a girl who is super sensitive to sugar alcohols. Using the Monk Fruit In The Raw Bakers Bag is super easy because it’s a 1:1 conversion. If you’re trying to replace 1 cup of cane sugar, simply use 1 cup of monk fruit sweetener. For best results, it’s recommended to replace half the sugar in your recipe. This allows for proper browning and rising that only sugar can provide. Where can you Purchase Monk Fruit In The Raw? UseIn the Raw’s Store Locator to see which stores in your area carry Monk Fruit In The Raw. My local grocery stores carry it in the baking isle. You can also purchase online HERE. Take three eggs out of the refrigerator to bring to room temperature. 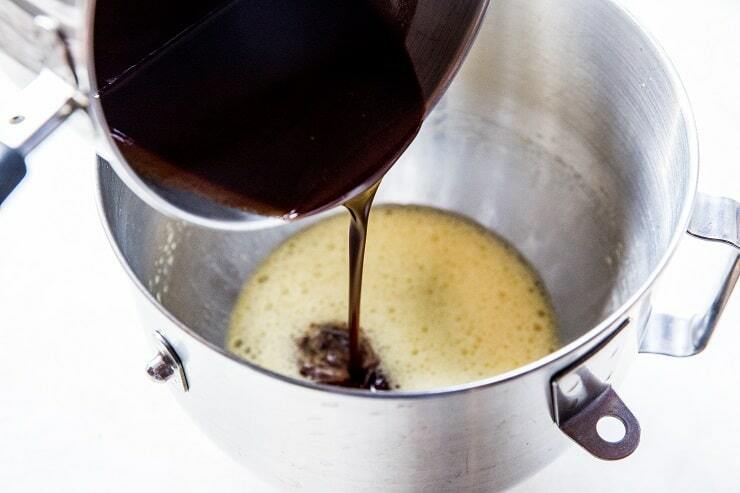 Melt the ghee/butter and chocolate in a saucepan on the stove top over medium-low heat. Stir and heat just until mixture has melted, but don’t bring to a full boil. Set aside while you’re prepping the rest of the recipe. Once the mixture has cooled, stir in the pure vanilla extract. Note: As an alternative, you can heat the ghee and chocolate in a microwave-safe bowl and microwave for 30 seconds. Stir well until melted and creamy. In a bowl, mix together the almond flour, raw cacao powder, monk fruit sweetener, cinnamon, baking powder, and sea salt. Crack the eggs into a stand mixer (or mixing bowl if you’re using a hand mixer) and beat well until frothy. Add the melted chocolate mixture and beat until well-combined and a pudding-like consistency is reached. Leaving the mixer on low speed, slowly add the flour mixture until incorporated. Beat at a higher speed until well combined and a fudgy brownie batter is formed. 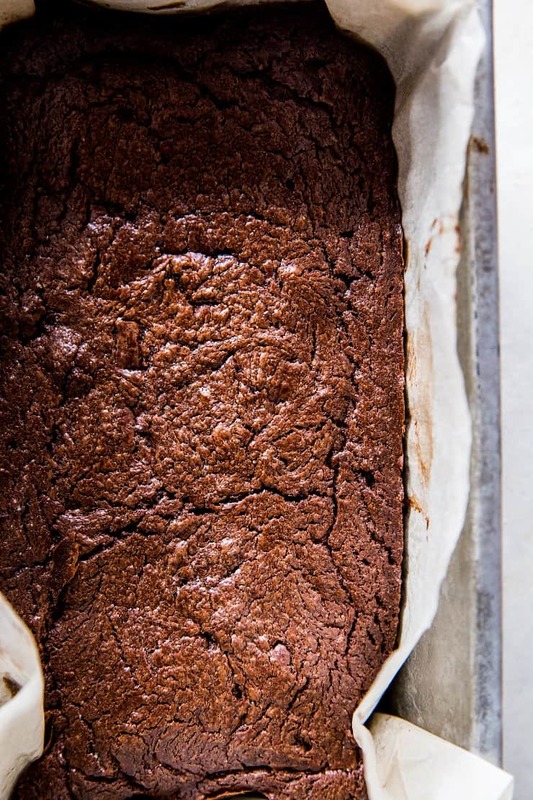 Transfer the brownie batter to a parchment-lined 9” x 5” loaf pan and smooth into an even layer. Bake at 350 degrees F for 18 to 22 minutes. The less time you bake the brownies, the fudgier they will be. Promptly remove the keto brownies the oven and allow brownies to cool at least 30 minutes before slicing and serving. 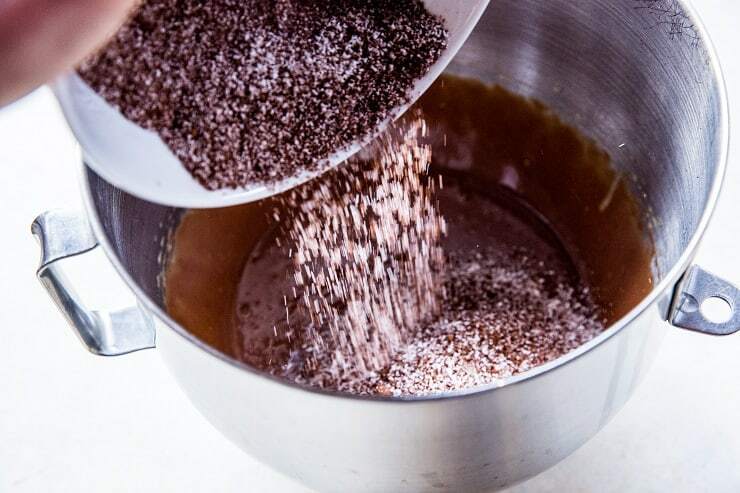 Add 1 tablespoon of instant coffee for even richer flavor. 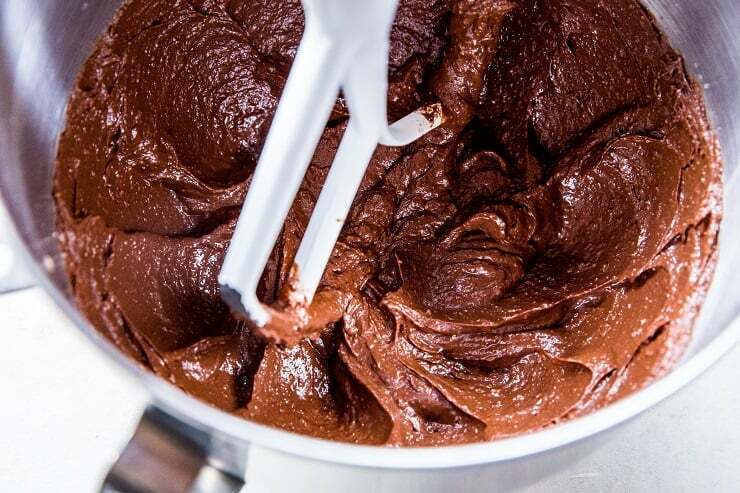 Whip up a keto chocolate frosting for an even sultrier experience. Replace the almond flour with 3 tablespoons coconut flour. 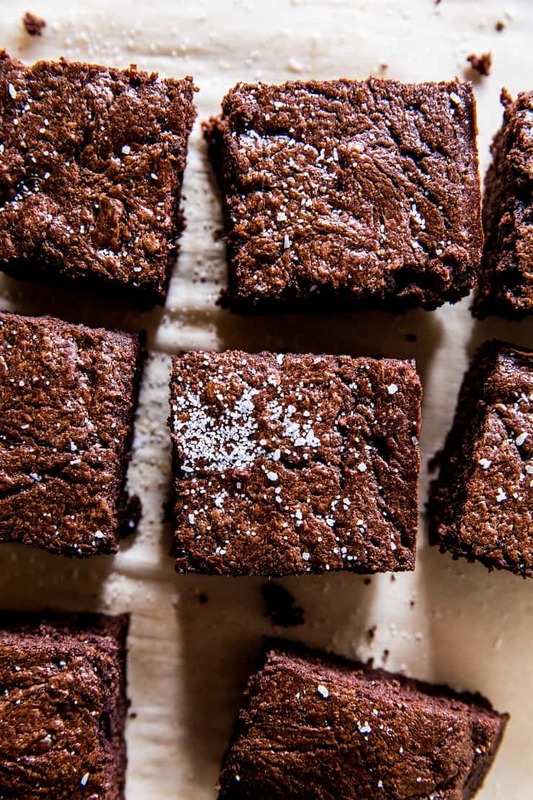 Double the recipe and use an 8” x 8” square baking pan for even more keto brownies. Make the recipe vegan by substituting coconut oil for the ghee, omitting the eggs, and add 3 flax “eggs.” To do so, whisk 3 tablespoons ground flax seed in a bowl with 9 tablespoons water. Allow this mixture to sit 10 to 15 minutes, stirring occasionally, until it thickens to the consistency of beaten eggs. While the flax egg mixture is sitting, melt the coconut oil and chocolate bar together in a saucepan. Stir the remaining dry ingredients together in a mixing bowl. 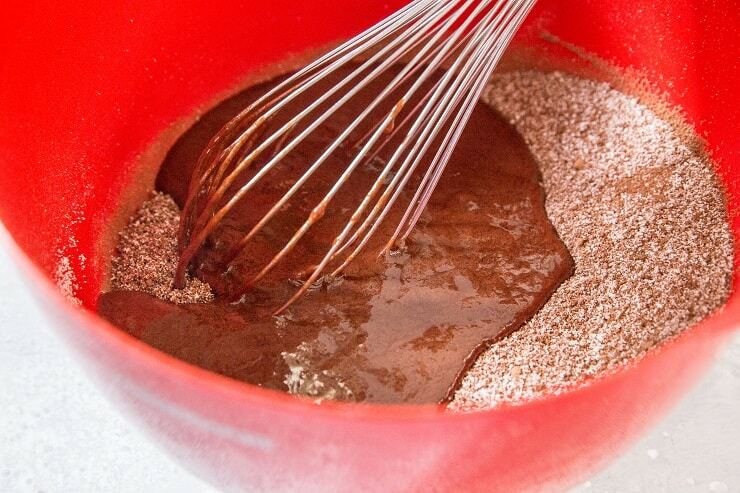 Whisk the flax “egg” mixture into the saucepan with the melted coconut oil and chocolate. Pour this mixture into the mixing bowl with the dry ingredients and stir well to combine. Transfer to the parchment-lined loaf pan, bake, and enjoy! Make this recipe using coconut flour instead of almond flour by replacing the almond flour with 3 tablespoons of coconut flour. Proceed as normal for the rest of the recipe! Serve with Vanilla Keto Ice Cream for a real good time! Preheat the oven to 350 degrees F and line a 9” x 5” loaf pan with parchment paper. Add the ghee and chocolate bar to a small saucepan and heat over medium-low. Stir occasionally until mixture has melted. Immediately remove from heat and set aside to cool. Once cool, stir in the pure vanilla extract. 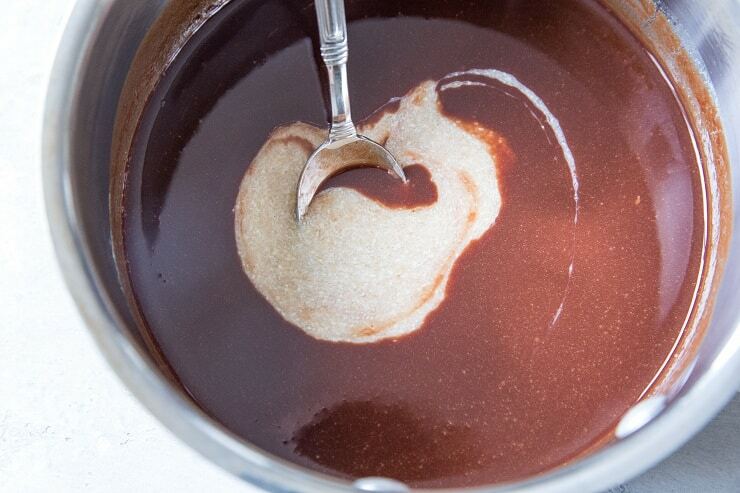 While the chocolate mixture is cooling, prepare the rest of the recipe. Add the eggs to a stand mixer fitted with the paddle attachment and beat until very frothy. Note: you may also use a mixing bowl and hand mixer. In a bowl, stir together the almond flour, cacao powder, monk fruit sweetener, ground cinnamon, baking powder, and sea salt. Pour the chocolate mixture into the mixer with the beaten eggs and beat until a creamy, thick pudding-like mixture results. Beat in the flour mixture until well-incorporated and a thick brownie batter is formed. 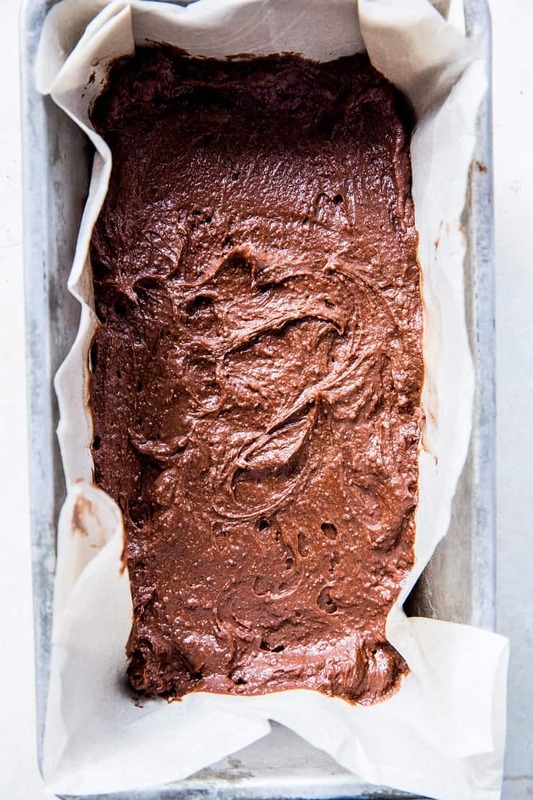 Transfer brownie batter to the lined loaf pan and bake on the center rack of the preheated oven 18 to 22 minutes. Note: the brownies will not appear “done” after 18 to 20 minutes, but rest assured, they are! 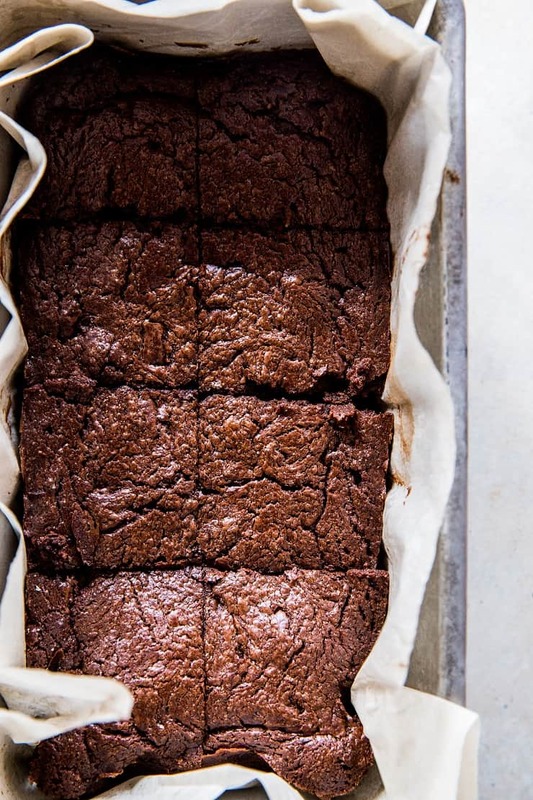 Allow brownies to cool at least 30 minutes before slicing and serving. *You can use grass-fed butter or coconut oil instead of ghee. 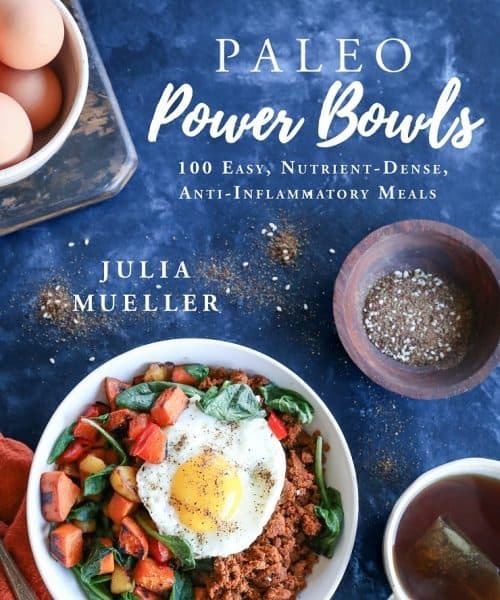 Hi Julia, Thank you for sharing this sweet recipe! I am looking forward to making your super high fat ketogenic vanilla ice cream and these keto brownies. Have you formulated the macros for the brownies? If so, could you please post them?